Bronze is a copper-based alloy with a diverse range of characteristics that make it an excellent choice for a myriad of applications. Bronze alloys are resistant to corrosion and metal fatigue. The alloy can be very strong, but as the alloy’s tensile strength increases, its castability decreases. A commonly used bronze alloy for investment castings is aluminum bronze, which has both good tensile strength and good ductility, making it useful for high-stress and high-impact applications. Another popular bronze alloy is silicon bronze, which is best known for its use in art castings due to its desirable yellow hue. However, the silicon content of the alloy also provides self-lubricity while maintaining the natural strength of bronze, making it a perfect fit for many valves and bearing applications. Several industries have found the good mechanical properties and characteristics of bronze alloys useful for many applications. Some of the typical uses include pumps, valves, bearings, bushings, impellers, propellers, hydraulic components, marine castings, and art castings. 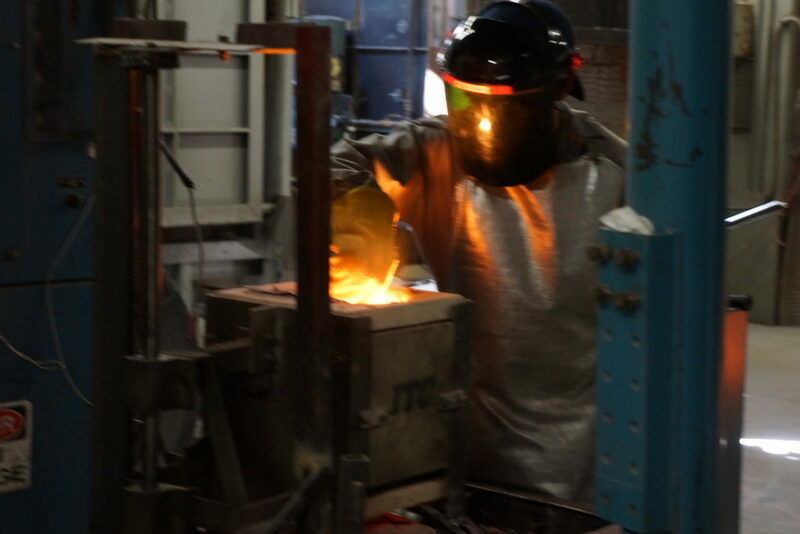 Protocast JLC is ready to provide you with your bronze investment casting needs. The alloys good machinability rating also us to provide you with turn key castings with our fully equipped CNC machine shop.